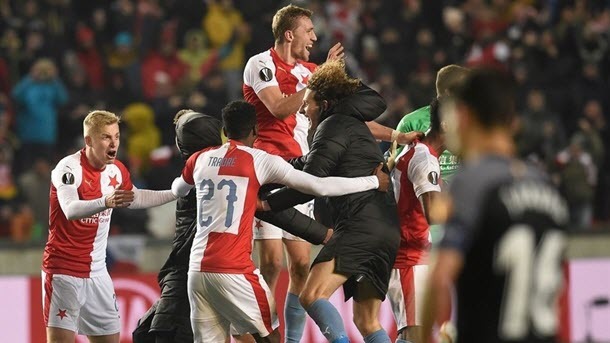 Evenly balanced would be a fine way to describe each of the four UEFA Europa League quarter-final first legs scheduled for Thursday and, consequently, one is going to propose betting on all of them finishing without a match winner. Undoubtedly the easiest of the four UEFA Europa League games to assess is the all-Spanish match between Villarreal and Valencia. According to one’s Spanish Primera Division collateral form analysis, sixth-ranked Valencia boasts a 6-5-8 advantage over 18th-ranked Villarreal, which is not as big as one would expect in light of their respective league positions and certainly enough to pique one’s interest in a draw wager. Furthermore, Villarreal and Valencia drew 0-0 when they met at the former’s home ground during the Spanish Primera Division season. Also, while Villarreal has lost six of its 16 Spanish Primera Division home games, the Yellow Submarine have lifted themselves to earn score draws versus the league’s top three teams – Barcelona, Atletico Madrid and Real Madrid – and Valencia’s top-flight away record does not feature any road victories by more than a single goal. Villarreal has more injury problems than Valencia but the latter will definitely line up without Carlos Soler, who has to serve his one-match UEFA Europa League suspension. Both Villarreal and Valencia are coming off last-start Spanish Primera Division defeats and both sides have important weekend fixtures upcoming – the Yellow Submarine will be fighting for their top-flight lives at Girona and the Bats will be scrapping for local bragging rights against Levante – so one thinks each team would settle for a midweek draw at 23/10 3.30 +230 2.30 2.30 -0.43 with Bet365. Arsenal was abject in its English Premier League loss at Everton on Sunday and, while the Gunners have played much better at home than on their travels, the fact remains they are short of top class as their one point in four games versus Liverpool and Manchester City demonstrates. 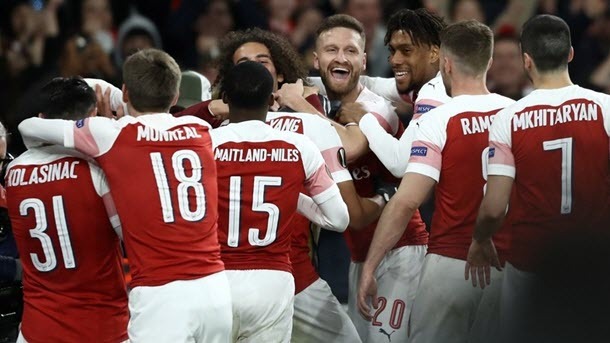 All is not quite right at Arsenal what with Aaron Ramsey leaving and Mesut Osil spitting the proverbial dummy yet again on the weekend and, in Napoli, the Gunners face a tough UEFA Europa League quarter-final examination. Napoli is ranked second on the Italian Serie A ladder but the Partenopei have failed to earn a point from their three divisional matches against closest rivals Juventus and Internazionale. One does not trust either Arsenal or Napoli and so betting on the draw in the Emirates Stadium clash makes reasonable sense at 5/2 3.50 +250 2.50 2.50 -0.40 with Bet365. Neither Arsenal nor Napoli has a player banned from UEFA Europa League action and the men who are likely to miss Thursday’s game have been on the sidelines for some time. 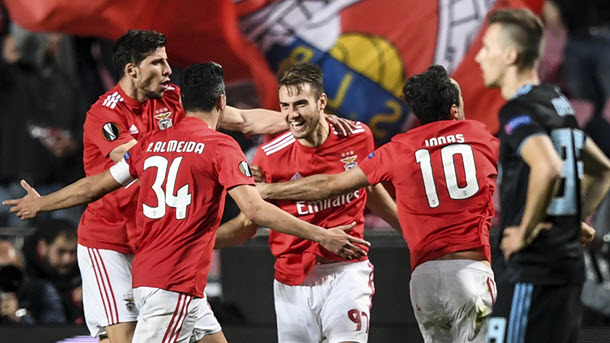 It is possible to line up Benfica and Frankfurt ahead of their UEFA Europa League quarter-final first leg through German Bundesliga leader Bayern Munchen, which both have faced this term at 5/2 3.50 +250 2.50 2.50 -0.40 with Bet365. Benfica lost 0-2 at home and 1-5 on the road to Bayern Munchen during the UEFA Champions League group stage, while Frankfurt flopped 0-3 away to the Reds during the first half of the German Bundesliga season. That means Benfica is slightly superior to Frankfurt if one goes by one’s collateral form calculations but there is only half a goal in it, the Portuguese convocation of Eagles will take to the field without suspended striker Jonas and the German convocation of Eagles are unbeaten in their last 15 matches. Finally, UEFA Europa League title favourite Chelsea will encounter Slavia Praha in Czechia on Thursday 57/20 3.85 +285 2.85 2.85 -0.35 with 888sport. Chelsea has found a bit of form but the Blues have a couple of massive English Premier League games on the horizon, starting with a trip to Liverpool on Sunday. Chelsea boss Maurizio Sarri is likely to rotate the Blues squad for his side’s UEFA Europa League date with what most bookmakers and pundits rate as the weakest team in the last eight. Chelsea does not appeal at odds on so the draw makes the most appeal of the options.